As another cold and icy winter winds down, it pays to reflect on some of the creative ways to stay warm during cold weather months. It’s of particular concern these days, because environmentally conscious UK families not only want warmth and comfort, but they’re also committed to heating their homes responsibly, without wasting money and energy resources. A family’s heating and cooling requirements operate on a few different levels. On one hand, comfort is important, so you want everyone under your roof to be warm and cozy. At the same time, however, you can’t open up a blank cheque to the utility company, or heating costs can quickly grow to more than you can afford. Winter loans from online providers can keep you warm and current when your energy bill comes due between paychecks, but there are also steps you can take to make staying warm less expensive. If you’re committed to protecting the environment and want to ride out the rest of the winter without spending a fortune on energy, Eco Thrifty Living has a few money-saving, planet-friendly strategies that’ll help you stay comfortable until spring finally arrives. It is thought 15 million household will pay more, as 3 of the big 6 energy suppliers announced rate increases attributed to continually rising wholesale prices. Ofgem, the regulatory body protecting consumers from high energy spending recently lifted two price caps, responding to suppliers’ need to raise prices at the retail level. British households unable to absorb the added cost may be looking for competitive short-term loans, in order to pay the £100 per household increase expected from the pending energy hikes. An article recently outlined a few ways to consume less energy and save money on your heating bills. If there’s no more room in your budget for energy spending, turning down the central thermostat is the most effective way to reduce your energy bill during the winter months. It is thought the average setting is approximately 68 degrees. Dropping the temperature to 64 can mean big savings – as much as £90 for each degree you shave from the central setting. Savings are even more significant for energy users dialing-back from a customary setting of 72 degrees. Use a basin to wash up, rather than running the tap while you rinse your face – it could be worth £30 savings each year. Cut the power to energy-using appliances at the wall, rather than hitting the standby switch. Some of the worst offenders waste £35 a year sitting ready in standby mode. Clean your blocked dryer vent, which may be doubling the amount of energy you use to dry clothes. There’s no reason to finish-off the winter season with a chill. 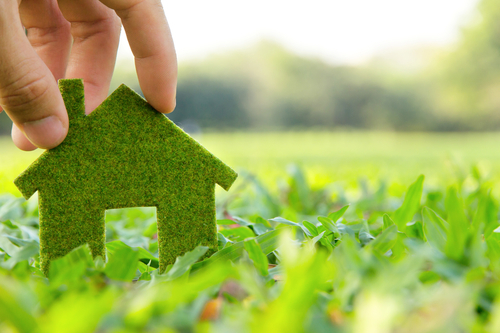 If you’re concerned about sustainability, yet want a cozy home, these tips can help you reduce energy costs and do your part for the planet, at the same time.